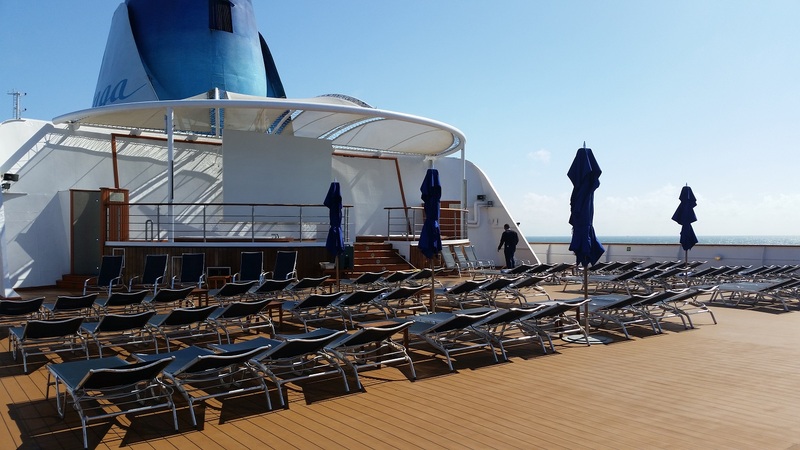 Hello from Saga Sapphire! I thought now would be a good time to check in with you as I have been on the ship for a few days and we have a pretty hectic port schedule ahead of us. 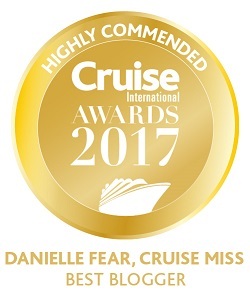 I boarded on Wednesday afternoon and so far, so very good – the ship is beautiful and more importantly, the food has been fantastic! I spent my first few hours exploring and getting to know where everything was. She is quite small, in comparison to other ships I have cruised on, so it really isn’t that difficult to find your way around in all honesty. 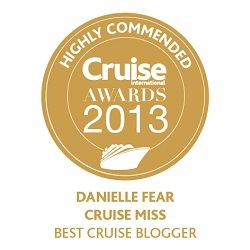 My cabin is a superior with balcony on Deck 8 and it is most spacious. The balcony is a little on the small side, but very nice to have. I love opening the door in the morning and seeing what is going on in the world. The bathroom is a good size and features a bath, marble sink and vanity area, storage cabinet, and of course, a toilet! The wardrobe storage is good and there is a separate space for the safe and fridge – yes, the fridge is in the wardrobe. We spent Thursday at sea, and aside from moving to grab some food, I spent the entire day on the aft deck doing nothing but watching the world go by. I love the deck furniture, the oversized chairs are incredibly comfortable and perfectly finished off with big plump cushions, they are also spaced far enough apart so that you don’t feel like you are sitting on top of one another. But let me go back to the “moving for food” bit. I tried fish and chips from the Beach Club on Thursday and it was so good! 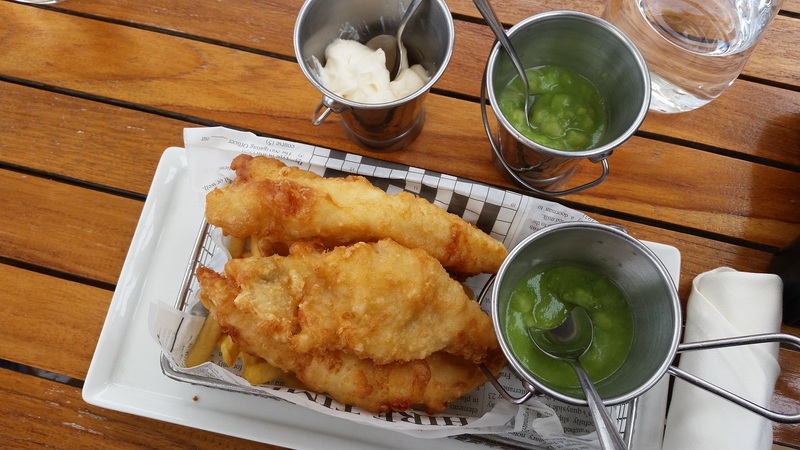 Served in a fryer type basket, lined with “Sapphire Times” paper and finished off with a little tub of mushy peas – fish and chips the way it should be. The Beach Club also serves burgers, jacket potatoes and salad. On the port side of the Beach Club you will find the sweetie hut (I have been very good and only visited once!) where you can help yourself to a variety of boiled sweets, and on the starboard side is the ice cream machine. The Drawing Room is a beautiful space and filled with wonderful artwork, in fact the entire ship is bursting with quirky one of a kind features. There are lamps with Fez hats, lamps with what look like old fashioned cameras attached, impressive wall masks, a school of fish in the atrium (one with a red eye!) and so much more. My favourite onboard areas up to now are Coopers Bar (I think I love the pianist/ wannabe comedian), The Drawing Room, The Grill and the Verandah. On Friday we entered the Kiel Canal and it was yet again another glorious day and one spent aft, lounging and enjoying what I can only describe as an EPIC deck BBQ. 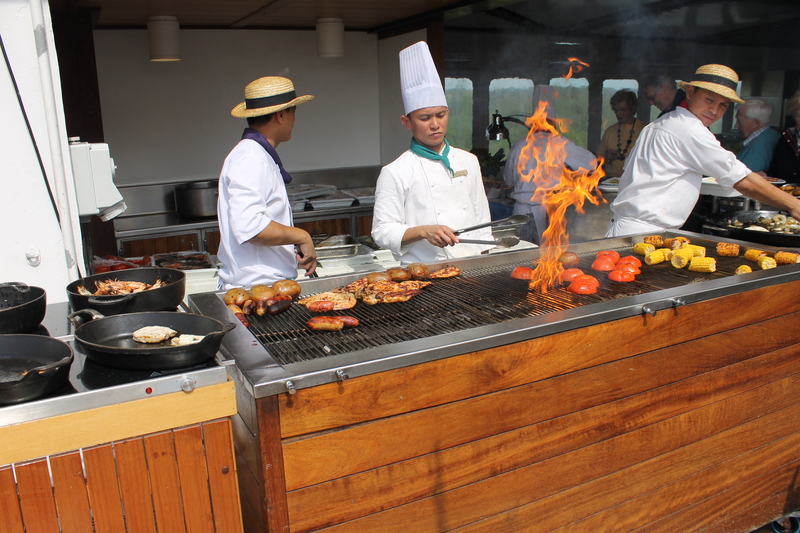 It truly was fantastic and one of the best BBQ’s I have ever had at sea! Several fresh fish options, rib-eye steak, chicken breast, veggies, cheese – you name it, it was served! I am hoping they will do another one at some point, but I’m not going to divulge all the info yet because I plan on doing a blog that highlights everything that was served – it truly was THAT good. Saturday brought us to our first port of call which was Rønne in Denmark. Rønne was a tender port and rather scenic – the houses were lovely and the area was so clean! It almost felt like being on a film set. We stretched our legs for a few hours before deciding to head back to the ship, good timing really because it soon turned cold and started raining. 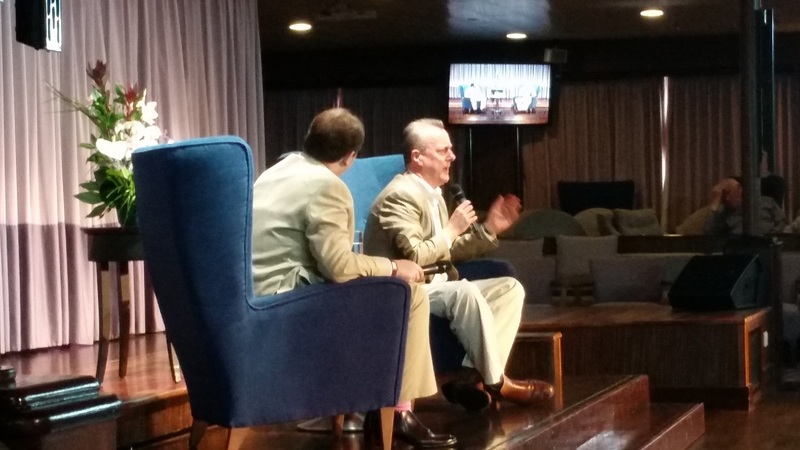 Today we are at sea and I started my day with a talk from actor Stephen Tompkinson. It was absolutely fantastic! 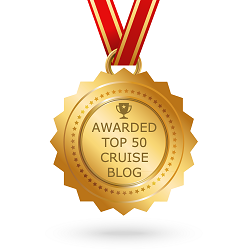 I was totally engrossed in everything he was talking about and discussing with John Parton, our Cruise Director. Stephen seems to be a very passionate and humble man and it was an absolute pleasure to sit and listen to his stories – several times his eyes filled up as he discussed his parents and grandparents, and his passion for the brass band. 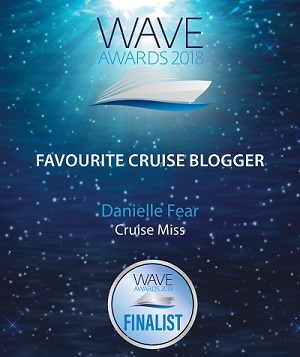 **shameless plug alert** – Read all about the crime themed aspect of this voyage in an upcoming edition of World of Cruising Magazine! 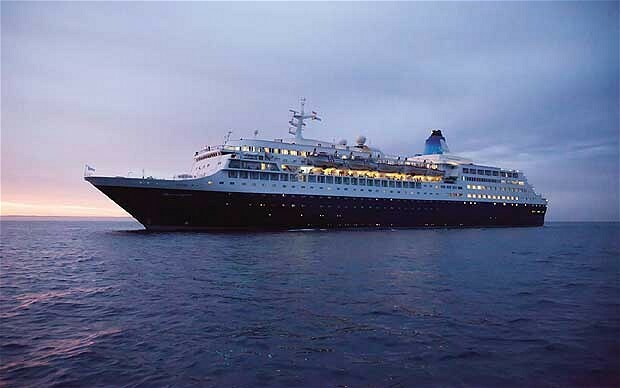 So, back to Saga Sapphire, what a lovely ship she is! I am enjoying every moment of my time onboard and I can say with an honest heart that a lot of the passengers are not THAT old! I keep getting the “you’re too young to be on here” comments, but they don’t seem to want to get rid of me, so I am off to a good start. There are a few fairly elderly people onboard, but the vast majority I would say are under 65 and they are certainly not shy when it comes to having a laugh and a few late night beverages! I will check back in with you all again as soon as I can. I have several ports to explore, in fact I think we have 7 port days in a row, so it could get quite intense. The vast majority are under 65. Do you mean 85,or are you having a laugh!